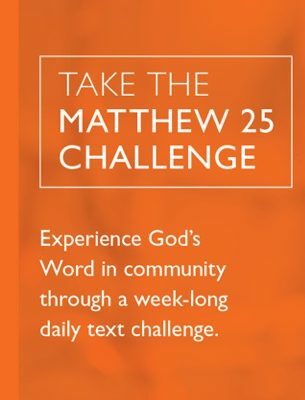 On February 25, Harbor Cov is going to do World Vision’s Matthew 25 Challenge. A week-long daily text challenge to put yourself in someone else’ shoes who lives in global poverty. Challenges include wearing the same clothes that you did the previous day, sleeping on the floor one night, or only drinking water (no coffee!) for one day. A way for families to talk about global poverty together. If you’d been wondering, “How do I help my kids learn more about life outside of Gig Harbor? ?”… then this is for YOU! To sign up for the challenge, text M25 to 44888 and then select Feb 25 – March 3. You’ll get the daily text challenges and devotions starting that Sunday.